Malcolm remembers he couldn’t turn down the offer to join Man.”They had an American tour lined up, which had been a personal dream for a long time. And it was a great tour – although to be honest I can’t remember much of it. But it was good fun!”. 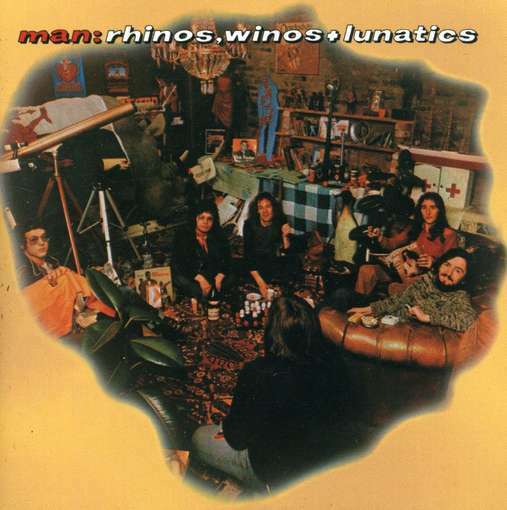 Significantly, Malcolm also appeared on Man’s acclaimed ‘Rhinos, Winos and Lunatics’ LP (above) playing guitar, keyboards and sharing vocal duties. Man’s eighth album, ‘Rhinos, Winos and Lunatics’ was produced by Roy Thomas Baker – acclaimed for his work with Queen. The LP spent four weeks on the UK chart, peaking at number 24. Malcolm was joined on both the LP and tour by former Help Yourself bandmate Ken Whaley (bass). Other musicians in Man at the time were: Micky Jones (guitar & vocals), Deke Leonard (guitar & vocals) and Terry Williams (drums & vocals). Malcolm is co-credited as a writer on all songs on the LP. He performs lead vocals on the track ‘The Thunder And Lightning Kid’. Rehearsals for ‘Rhinos, Winos and Lunatics’ took place at Clearwell Castle in the Forest of Dean, Gloucestershire to an incredibly tight deadline. Man were given just three weeks to write and rehearse new material. Recording was done at Morgan studios, although some vocal overdubs were done later at Trident, where the album was also mixed. 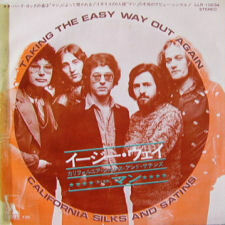 Above: a rare Japanese single of ‘Taking the Easy Way Out Again’ – taken from the LP. A retrospective live album of the American tour was entitled ‘The 1999 Party‘, which was issued on CD in the 1990s. Tracks from the tour (recorded at the Whiskey A Go Go in Los Angeles in March 1974) also appear on the live ‘bonus’ CD with the 2007 re-issue of ‘Rhinos, Winos and Lunatics’. One of these tracks is the Help Yourself song ‘American Mother’. 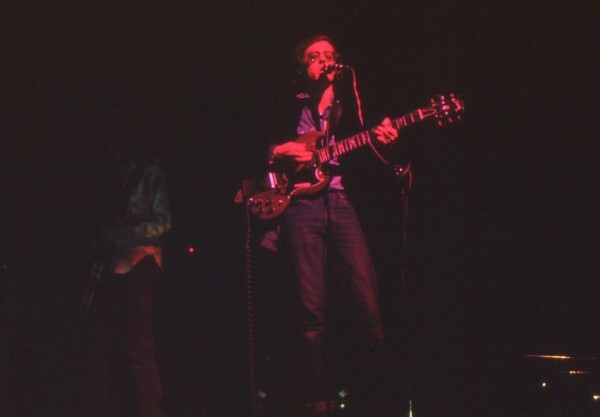 Above: Malcolm performing with Micky Jones’ Gibson SG at the Zellerbach Hall in Berkeley, on the US tour. Photograph copyright © 2009-2010 David Miller. Visit ‘Brit Rock by the Bay’ for further information.